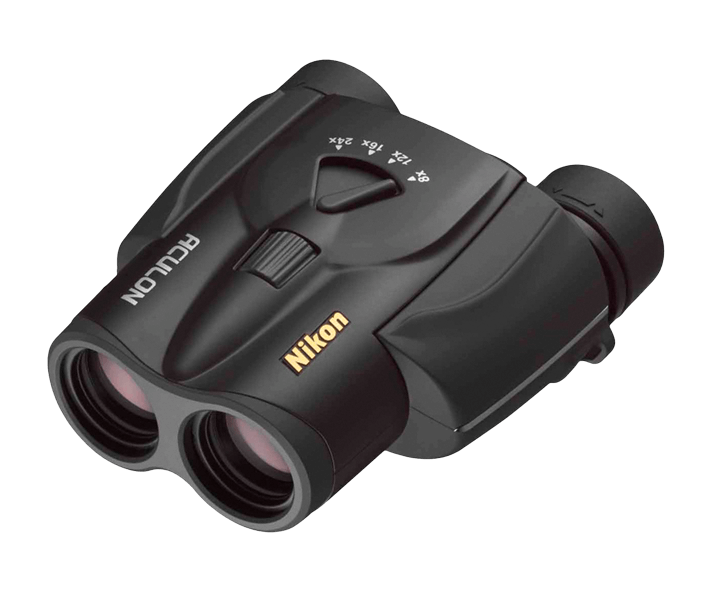 Compact and versatile zoom binoculars with 8-24x magnification range, 25 mm objective lens and super-smooth zoom control. Nikon’s multilayer-coated lenses offer clear, bright images and the turn-and-slide rubber eyecups make it easy to position your eye at the correct eyepoint. With a lightweight body and a firm, comfortable grip, they are ideal for taking in the sights while traveling or for watching sporting events.